You think you have been cast for your acting talent? Why are you acting?! When Angry Indian Goddesses premiered at the Toronto International Film Festival in September of 2015, it received a tearful standing ovation. Two months later, it premiered in its home setting of India, heavily edited and censored, down to its exuberant opening title sequence. 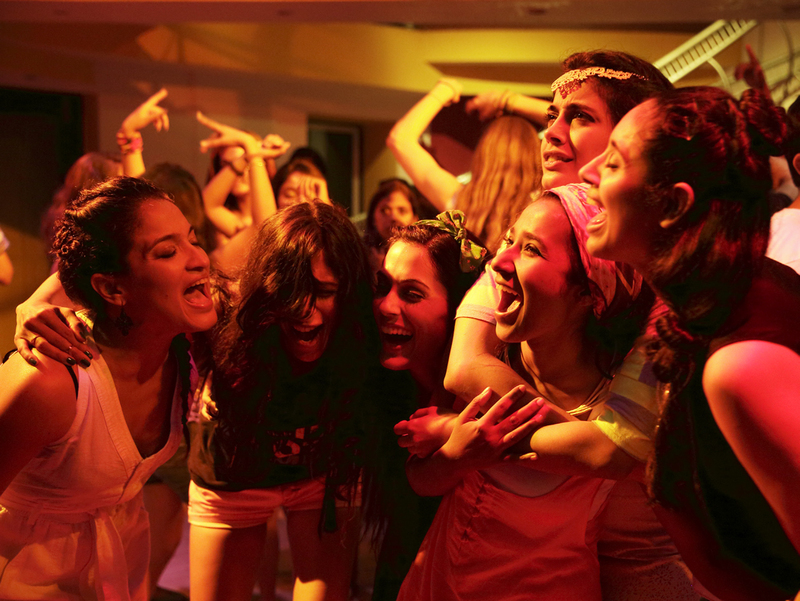 Angry Indian Goddesses is a film that holds an intersectional lens up to contemporary Indian society, taking an unflinching look at gender, sexuality, patriarchy, class, friendship, and all their pressure points. It’s a film bursting with colour and razor-sharp emotion, and so its opening titles must follow suit. The sequence, designed by Mumbai-based studio Plexus, weaves together images of the cast with protest photography and Indian deities in power poses. 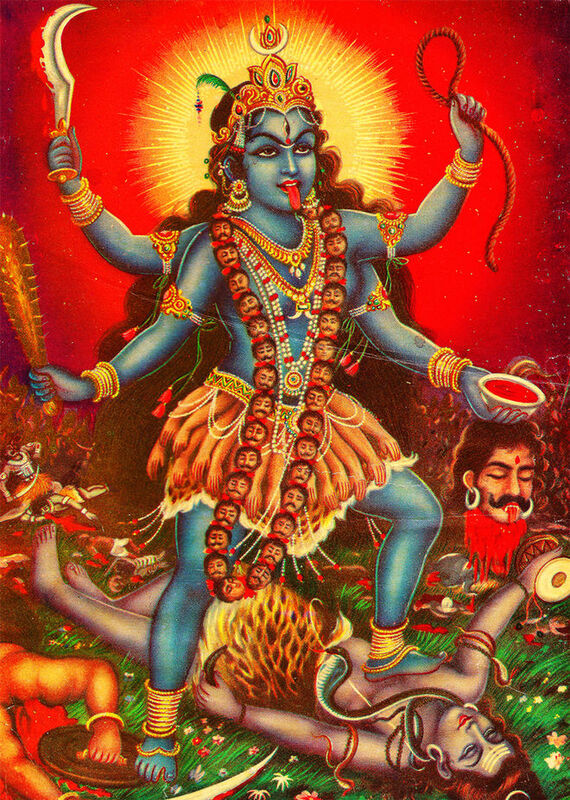 Likenesses of goddesses like Kali are ubiquitous in India, sold on cards and bookmarks, used in calendars, embroidered on fabrics and painted on walls. It’s surprising, then, that the opening title sequence was heavily altered for its Indian theatrical run. The original version of the sequence, before the film hit the Censor Board, is above — in all its glory. A discussion with Director PAN NALIN, and Designers VIJESH RAJAN and YASHODA PARTHASARTHY of Plexus. So, congratulations on Angry Indian Goddesses! It premiered at the Toronto International Film Festival this past fall. What was that like? Nalin: Oh, thank you. [laughs] Quite an amazing premiere. Great audience and, you know, a lot of surprises, especially the last day when the Grolsch People's Choice first runner-up was announced it was a big, big surprise. It's been just so incredible. In the West there have been many movies about women, but for India, we knew it was something truly different. It was like for the first time, there was kind of a female buddy film. I did not expect when we came to TIFF that it would connect so well with international audiences. One of the big proofs and achievements for us was all the buyers and distributors acquiring the film. That was just absolutely overwhelming. We could not believe that there was such a universal pulse we were touching upon. But there were difficulties in getting this film made, right? Nalin: Oh, massive difficulties. The project started nearly six years ago, in 2010, and it was just nearly impossible to convince people. In India it's a pretty male-dominated entertainment industry, so the financiers were very skeptical to invest money. There was many hurdles. And even if a couple of them were interested, they would have the point of view like, “Can you get well-known Bollywood stars to act together instead?” [laughs] Or, the second thing they would ask is for us to put one male cast member and let the women act around him. We said, "Look, you're not getting the point.” Then they say, "Oh, but women – have you seen the history of Indian cinema? Women can't open the film, I mean there's no box office, you know?” [laughs] I think it's time for a change and we have had really warm and positive buzz in India. And there's been a massive support from the media, from people, from everyone who wants this film released in a big way. Yashoda: The team had the willpower, they believed in the movie, and they stuck with it. It didn’t have a lot of producers or a lot of funding initially. It was a long process for them. Vijesh: They had so many hiccups. At every stage, they were not sure what the audience would think. Everybody put so much into it and everybody really believed in it. That’s one thing you have to have – the belief that it’ll make it. Yashoda: They were not sure it would be accepted. But I guess if you have something to say, you just stick with it and go ahead and do it and the right time comes and magic happens. So, Nalin, knowing this context, what was your vision for the opening? How did you want to open this story? Nalin: For me, it was definitely about meeting each character and then leading that up to a title sequence, talking about the cultural identities, the goddesses which are assigned to each task in the Indian culture. Like, there is a goddess of fine arts. There's a goddess of knowledge. 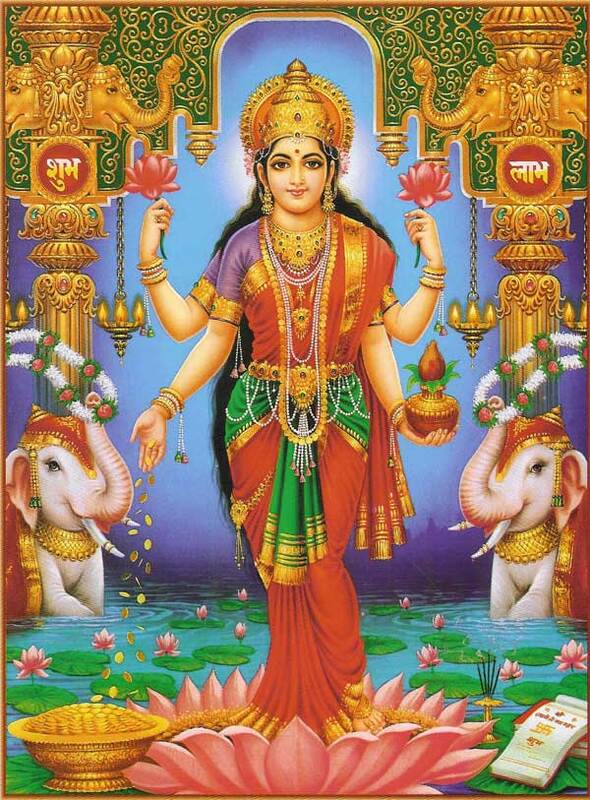 There's a goddess of economics – Lakshmi. 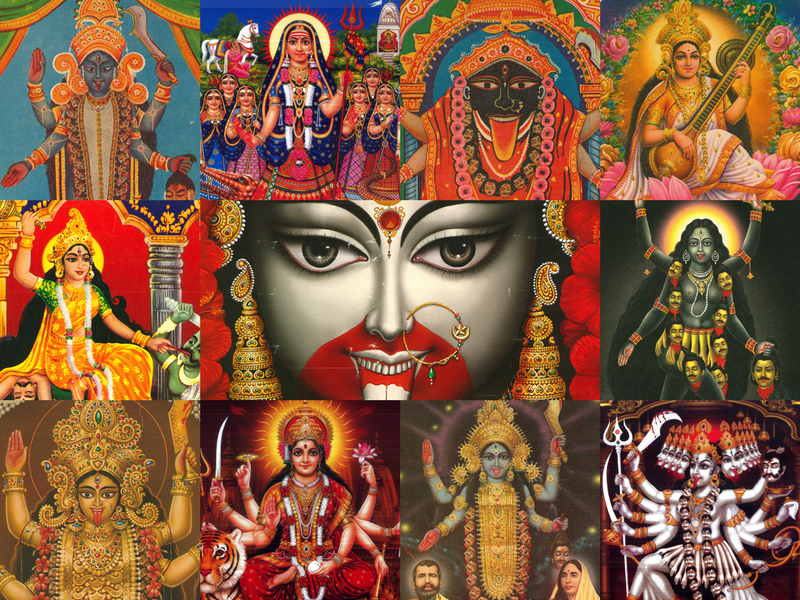 Then there's a goddess who takes a ferocious avatar to create a new world order or to rejuvenate the whole lifestyle. So, they are known mythologically, but somehow they rule the spirit of modern Indian women in their anger, so I really wanted that to come out in the opening. But very often these days when we make movies, we have very little money to carry out the vision. Vijesh: In Mumbai, in India, it is very difficult to afford or imagine concepts with a lot of visual effects or graphics. It’s still just growing. It’s not there yet. Especially title sequences – they’re sort of a specialty thing. Only a few directors have that in mind. Thinking in advance, “OK, I want to do a title sequence and I’m going to call someone for it” – that happens very rarely. But it’s catching up! Nalin: When it comes to the opening title, the producer's tendency is to just never spend anything on the opening title – either it's simple, white letters on black screen or it's superimposed while action is unfolding. That's what you did on Valley of Flowers, right? Nalin: Yeah, that's what I did on Valley of Flowers. There, I really wanted to do a special title sequence, but all I could do is use my images and create. Nalin: But I do feel that whenever there’s an opportunity to create an opening title sequence it's a fantastic tool to evoke curiosity, to get your audience ready to receive. So in Angry Indian Goddesses, luckily we were able to find a way with Vijesh and with the producer, Gaurav Dhingra. Vijesh was introduced to me by our editor, Shreyas Beltangdy. Shreyas said, I know a friend and maybe there's a way we can work this out, if your ideas are not too complicated. Vijesh: Shrey and I are college buddies. We’ve done a whole bunch of projects together, especially in the independent music scene. He called me and he said, you know, there’s this feature film that I’m working on, and there’s not much of a budget, but they want to do a title sequence and they want to send it to a whole bunch of film festivals abroad. Nalin: Vijesh knew that I'm an opening title freak. I kept talking about how frustrated I was when I did my first feature and second feature and so with my first assistant director, Subhadra Mahajan, I had all these ideas. In the first meeting my ideas were complicated – with animation and all that – but we did not have the means. Vijesh: So I saw the cut of the film, and I thought, this is breakthrough stuff and I want to be associated with it in any form. The assistant director, Subhadra, she was the one who came up with the idea of using the calendar art goddess imagery. Nalin: We sat and I said, we've got this amazing collection of images of calendar art, and the photographs of women protesting at various venues that are all real pictures. There could be something to do with that, you know, it would be really good to show. Vijesh: We scanned them. I think what they had in mind was just like, image and text and image and text, and then Shreyas and me sat together and we thought that the title had to be more high-octane. It was about finding the right track, the right kind of music, and that sort of set the mood. There is this thing, this phenomenon called The Coke Studio Sessions. I don’t know if it’s everywhere in the world but in Pakistan and India we have this. They get several artists to collaborate. A lot of great music happens there. And so one of the tracks from one session was one that Shrey thought would work, and so they cut a trailer which was just sort of a placeholder for getting investors on board. That track worked so well that we were like, dude, this is the track that we have to use for the title sequence. Vijesh: And then, I really love the idea of ink bleeds because they have this really good energy, so I scoured the internet for free ink bleeds because we didn’t have the resources to shoot any! Typically I would have liked for the ink bleeds to be shot, but we didn’t have that kind of money or time so I found Mitch Martinez, who has a lot of 4K free footage online, and we used those as mattes for the title sequence. Then it was just about using the right imagery and animating it, moving from one thing to the other. I’m telling you – it’s the track, it’s the music that gave us the inspiration and the energy for what this turned out to be. So which tools and software did you guys use to put it all together? Vijesh: It’s mostly After Effects, and Photoshop. That’s it! Yashoda: A lot of layers! Is the version of the film that was shown in Toronto going to be the same version for India? Vijesh: The film that releases here [in India] won't be the same film you saw at Toronto. Nalin: The Indian version is slightly longer. It has a couple more scenes and has an intermission. And intermissions are standard in India with movies, right? Nalin: Oh, yeah. Without intermission you just cannot release a film in India. Even Hollywood movies, when they are released in India, they have to put in intermission. When you are in the peak of the story, it says “Intermission”. [laughs] This is of course designed by exhibitors so they sell more drinks and popcorn and samosas! [laughs] Even the big Hollywood studios have tried to fight the intermission. But they are all obliged, even Fast and Furious has intermission. People are used to watching the movies like that. They expect it. It’s part of the tradition since ancient times or in the ’50s and ’40s. There used to be intermission even in Hollywood because movies used to be so long and the projection system was different so they needed time to load the 35mm print. So it was to the advantage of everyone then but India somehow retained that. You'll practically not find a single cinema hall where there's no intermission. It’s rare. Is there a different version of the title sequence for India? Vijesh: The Indian Censor Board had a big problem with our title sequence, since it features Hindu goddesses. Hence, our title sequence will be 90% blurred in the version that releases in Indian cinemas. We had quite a laugh when we heard this news. Nalin: The Censor Board has blurred all images of goddesses. It's a national scandal. If you Google you will see media coverage on how the goddess images are blurred from that opening sequence. As far as inspiration for titles goes, do you have ones that you find yourselves returning to? What are your favourite title sequences? Vijesh: I really like the Daredevil and Hannibal title sequences – Realflow and saturated reds used to the best effect. The new Marvel series Jessica Jones has a pretty cool title sequence, too. It's so spying-point-of-view, but they have done some amazing things with the textured perspective lines there. It looks gorgeous. Yashoda: I love all the James Bond movie title sequences. I also liked the title sequence of The Lego Movie, and Iron Man 1 & 3 – because of the edit style and the artwork. Marco Polo, because of the way they incorporated live-action elements with organic motion graphics. Nalin: When editing the film, we used to speak about a lot of opening titles. 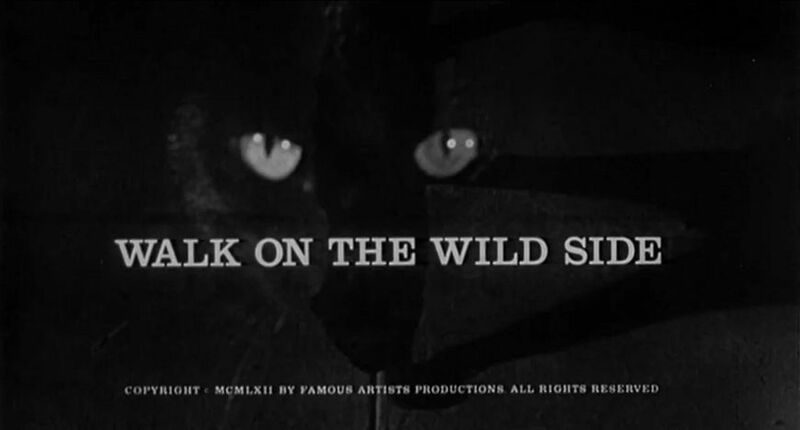 I'm a huge Saul Bass fan, like The Man With the Golden Arm and my all-time favourite, Walk on the Wild Side. The title with the cats. I said like, look at the music! How Bernstein’s soundtrack was beautifully used with these two cats. Nalin: Very often, title sequences enhance the film. This is something that needs visionary producers – to understand the power of titles. There are so many examples, be it in the ’60s or ’70s or Westerns of Sergio Leone – The Good, the Bad and the Ugly – where you start the story with maybe a scene or just with the titles, and suddenly, it gives you time to prepare – to receive the story. In modern times they have a much bigger role to play, because the way we consume stories has changed. We watch movies now on iPads and on phones, on every device, so when you go into the cinema hall, and if you do have a great opening sequence which incorporates title design, that really gives you a break from your life, which is very chaotic and busy. When you come in, you are rushed. Your girlfriend is complaining because you couldn't find parking and you're late. You rush to your seat and there's no time to grab Coca-Cola or whatever. You sit down and the title can do that wonderful break. It’s saying, “Okay, guys, leave your life behind. Be ready to get into dreamworld” and that one or two minutes spent on titles can really get the audience ready. Have you seen anything lately that’s been exciting to you? What would you recommend to our readers? Nalin: Just before coming to Toronto I saw a film from Turkey called Mustang. It's fantastic! I may be more in women-mode these days, but this story of these five sisters is absolutely brilliant. Vijesh: Dry Lights by Xavier Chassaing is mesmerizing. I can't even begin to fathom how it was put together. Vijesh: Kung Fury was spectacular – deliberately making an overtly over-the-top ’80s action comedy, harping on the VHS glitches and using music and sound design from the pulp movies of that era – hilarious! Yashoda: I'm an avid fan of films that juxtapose science and the human condition. The Theory of Everything, Frequencies, and The Martian are movies that really stayed with me. I also am a big fan of 3D animated films like Inside Out, Wreck-It Ralph, and Wall•E. I have watched some of them so many times that I even remember the dialogue from start to end, especially the ones which depict human emotions. For readers that may be unfamiliar with Indian film, what would you recommend? Nalin: For Indian movies, I would definitely say if you’ve not watched anything you should definitely pick up a couple of older masterpieces, start from there, like Satyajit Ray’s Apu Trilogy which was recently restored in North America and digitally remastered. I think that's a brilliant way to start watching Indian film. Vijesh: Among recent Indian films, I would recommend watching Placebo, Court, and Masaan. Placebo recently won the Jury Award special mention at the Austin Asian American Film Festival and is a hybrid documentary on the Indian educational system and its adverse effect and pressure on the students. The film has a surreal approach to storytelling and I had a lot of fun working on the visual effects and animation for it. Head to Letterboxd to see the full list of films from India recommended by Pan Nalin, Yashoda Parthasarthy, and Vijesh Rajan. 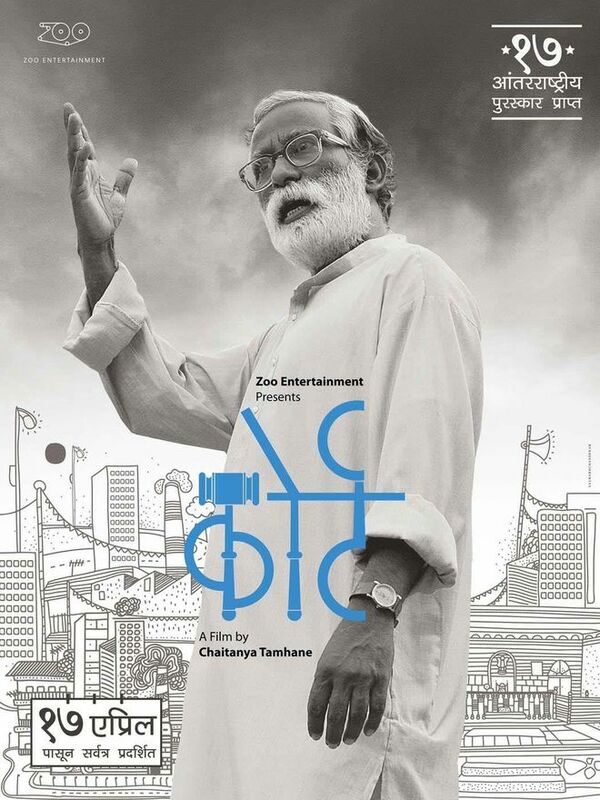 Court is India's official entry to the Oscars this year in the best foreign film category and I definitely recommend watching it. Yashoda: Being a Tamilian, brought up in Mumbai, I enjoy watching a lot of cinema from the South of India. Some of my recommendations of films from there are Moondram Pirai (1982), Rhythm (2000), and Hey Ram (2000). Nalin: The film by Shekhar Kapur called Bandit Queen was really a great example of a good Indian movie. Then Mira Nair’s Salaam Bombay! was made, I think, more than 15 years before Slumdog but you will see it's exactly in the same universe and space but far more realistic and authentic and organic. Salaam Bombay! is a great film. Vijesh: There are a whole bunch of very exciting things happening in India not only in terms of title design but cinema as a whole, it’s improving a lot. Vijesh: It’s not just guys and girls running around trees anymore. It’s a lot more emotional, and I’m really happy to be working in the industry at a point like this. At the point that the film was made, I’m sure that if it was released then it wouldn’t have done well at all, because the social climate was very different and the outlook of the average Indian was very different. Now, people are so much more attuned to social change and women are given more power and importance. Yashoda: A lot of women-centric movies got released and got a huge audience. I think that also helped producers and other distributors viewing these women-oriented films, or non-hero films. I guess it’s just the right timing. Yashoda: Yeah. It’s not every other commercial Bollywood film, it’s not in that category. Right, and the movie is shocking. Vijesh: Right, it is, it is. But that’s the truth. The truth is shocking. It’s happening a lot, and someone has to talk about it.